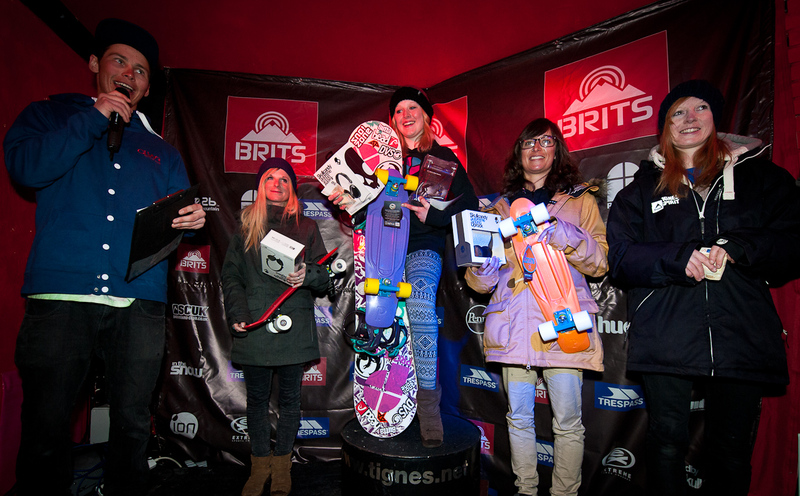 Last week we got some time off work and took a trip over to France, firstly to Tignes for the Brits, and then over to Morzine for the PBRJ. It was a LONG drive over to Tignes, we got a ride over with Charlie Rowland, but unfortunately took the wrong route and ended up driving up a wiggly Italian mountain road that eventually turned into a piste...the sat nav didn't warn us it was a summer road! 12 hours later we got to Tignes at about 2am! An hour or so later, the finals started. It had started snowing even more by this point, which made it a bit hard to see, but that didn't matter too much as it was a Rail Jam. The setup was really fun, there was a short channel gap box into a down rail/box. There was about 5-10m between the two features which was just enough time to get stable and ready to hit the second feature. This was really fun, as I havn't hit many features like this, so it was a nice challenge. I was really happy as I got some nice combos, like switch tail slide on the box, to front blunt on the down rail. And also some switch ups on the first to switch back blunt on the down rail. I've been working on my switch tricks a lot this past year, so it was a good time to mix it up. 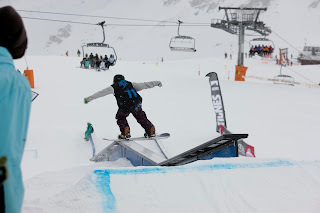 After a super snowy day, I was ready to have a rest before slopestyle on Thursday. Nathan was planning on doing slopestyle (skiing) on wednesday, and it turned out to be absolutely bluebird!! 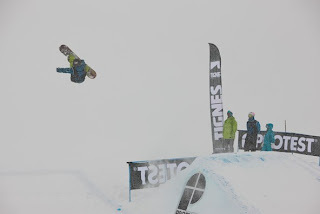 Unfortunately he was too late to enter on Wednesday morning, but managed to get into a French Slopestyle on the X-games course instead, which he was equally stoked on and rode really well, spinning both ways on the BIG X-games jumps! Chloe (Hardy) did manage to enter the ski slopestyle in time, and came out 3rd overall!! Well done Chloe!! 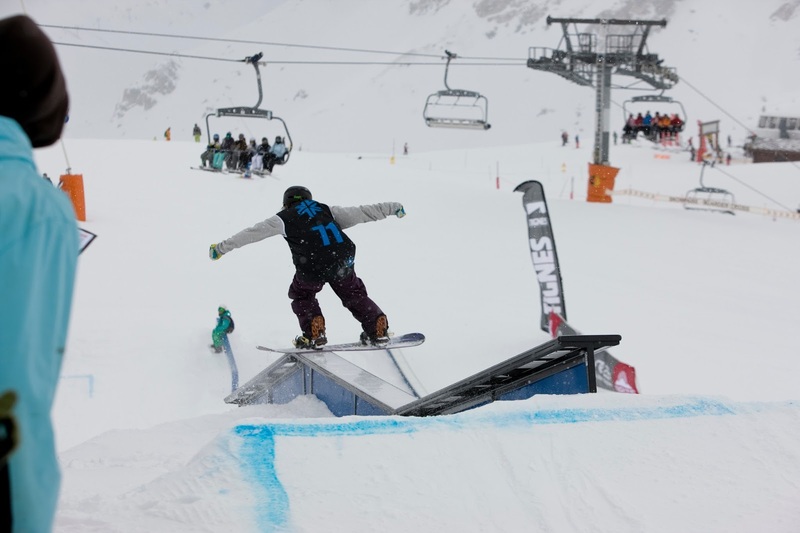 So then, it was off to Morzine for the Volcom Peanut Butter Rail Jam European finals!!! Here's a link to the Westbeach Blog, and a write up of the event.